The multiplayer component of Red Dead Redemption 2 is finally out. Called Red Dead Online, the multiplayer mode of the game allows players to roll around with their friends and get into all sorts of adventures. While adventuring is fun, adventuring in style is much better. Below I will be showing you how to change outfits in Red Dead Online. To change outfits at your camp look for the Wardrobe. You can change a number of different apparel items at your camp. 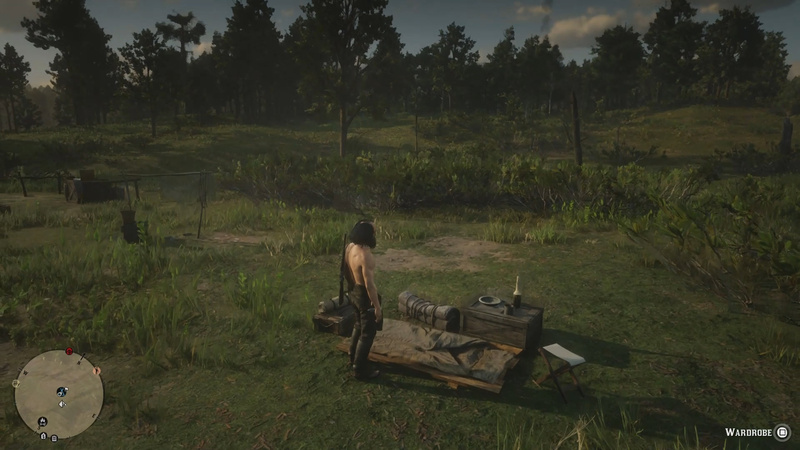 Note: Your camp becomes accessible after completing the Red Dead Online tutorial. Outfit: Choose a full outfit. Gloves: Choose a pair of gloves. Weapon Equipment: Choose equipment for your weapons (Off-hand, Gun belts). Pants: Choose a pair of pants. Chaps: Choose a pair of chaps. Boots: Choose a pair of boots. Spurs: Choose spurs for your boots. When you interact with any of the following options, you are able to equip any of the items you own. Any outfits currently on your horse will show a saddle beside them in the Wardrobe. Outfits you keep on your horse can be found under the Horse tab. From the Wardrobe you can add outfits to your horse by hovering over the outfit/item you want to send and pressing “Store on Horse.” These outfits will be added and carried around in your horses saddle. 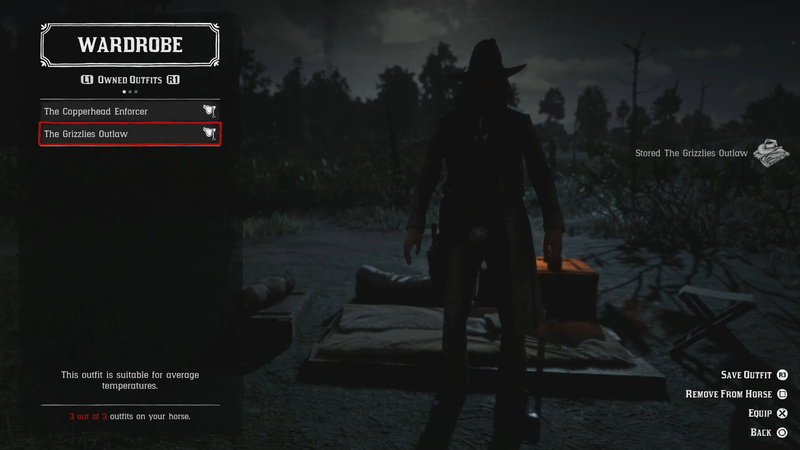 You can carry a maximum of 3 outfits on your horse to start. To access the outfits you store on your horse, approach your horse and press and hold L1. 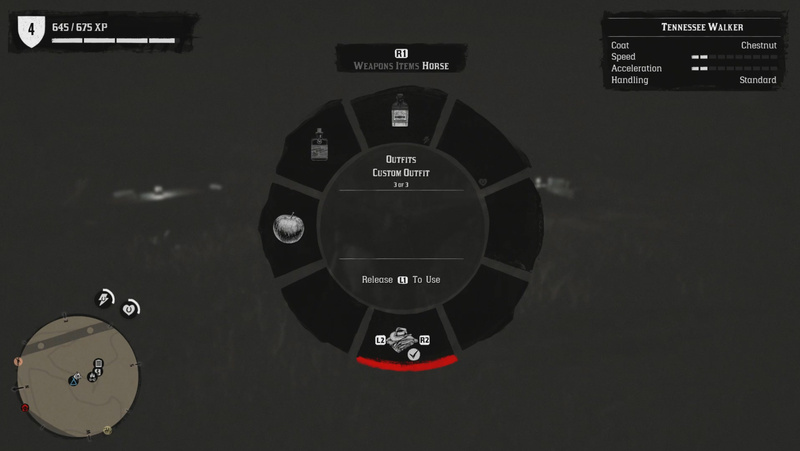 When the weapon wheel appears press R1 until your reach the horse tab. The outfits you have stored will be found on the bottom of the horse wheel. 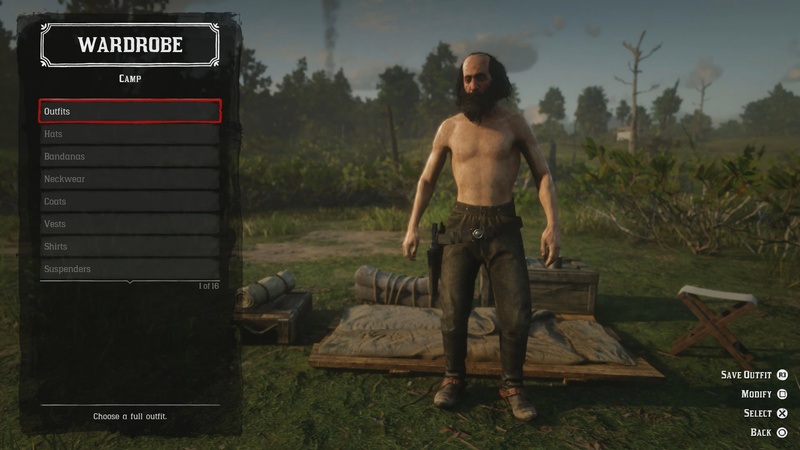 Thoughts on our how to change outfits in Red Dead Online guide? Drop them in The Pit below. My outfit keeps resetting to the one I made straight away after I broke out of prison in the story mission. Any way I can fix this?